$35 or Weighted Avergage of your Hourly Pay Scale? TWU will require us to pay monthly union dues following a ratified contract. 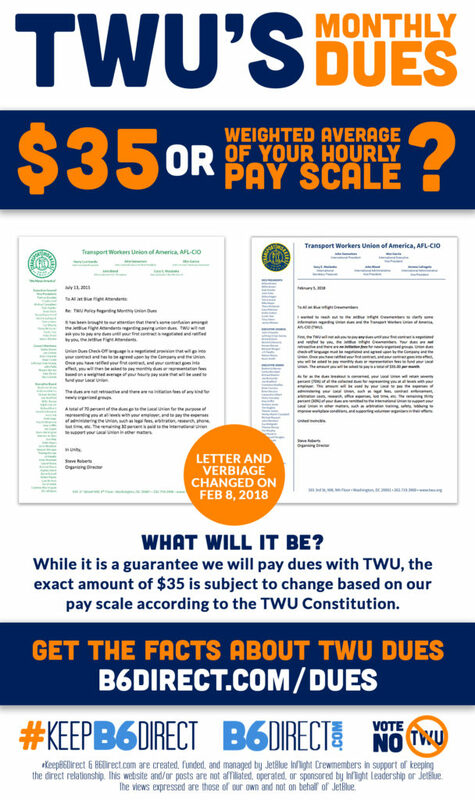 On February 5, 2018 a new letter was posted online stating monthly dues would be $35 (following a ratified contract). This new letter makes no mention of how dues are calculated. We looked to the TWU Constitution for the answers below. 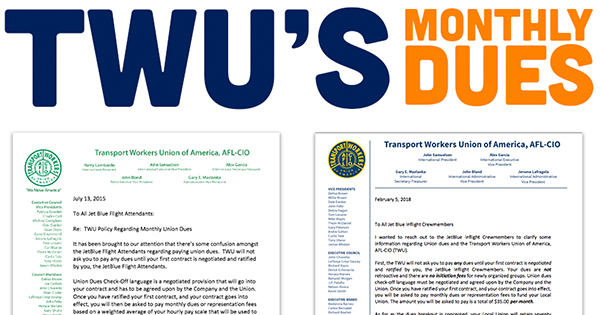 The TWU Constitution specifically states the methods that Dues may be calculated for members. The fact is that the quoted amount of $35 is subject to change based on the calculation of our average or weighted average of our workgroup pay scale at the time a contract is ratified. 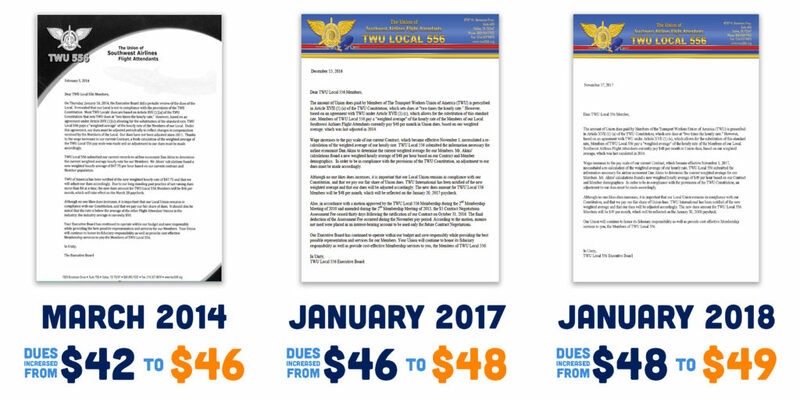 The Southwest Airlines Local 556 Dues have increased along with changes in their pay scale based on the calculation of the weighted average of their hourly workgroup pay scale. This shows that dues can not be accurately quoted for the future based on the fact that our pay scale changes both with our seniority as well as pay scale increases overall. The TWU Constitution requires Local Unions to pay dues according to these calculations. 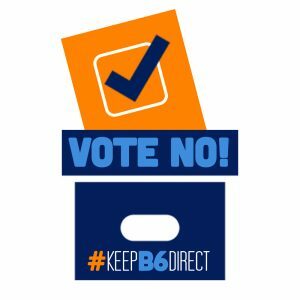 Thursday, January 16, 2014, the Local 556 discovered they were not in compliance with these provisions and therefore the dues were increased. 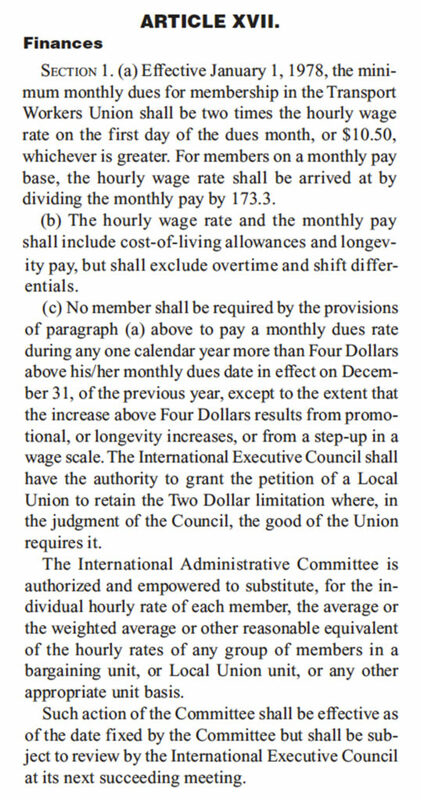 The total amount of the new weighted hourly average was actually $47.75, but there is a clause that restricts the rise in dues to no more than $4 at a time, so the new amount was set at $46. The letter was sent February 5th, 2014, and the increase in dues took effect on their March 20th paychecks.